Wanting to restore your tiles & grout? Got tile stains and tough grime you just can't scrub out? Our unique 7-step Tile & Grout Cleaning Service ensures the most professional and highest quality clean possible. We guarantee that you will love every clean! We are passionate about only using environmentally friendly cleaning methods that are safe for both you, your family and pets. 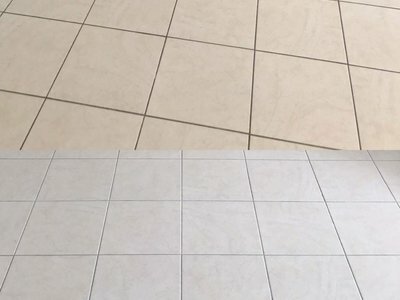 Our greener is safer approach to tile cleaning leaves absolutely remarkable results with hundreds of satisfied customers. We start spraying an environmentally friendly solution, then we let it sit to ensure maximum penetration and result. We pre-treat stains and grout with special cleaning solutions and stain removal products that are safe for your family. This is an important part of our service and is part of the reason why you get your tiles cleaned. That's why it's included in all our services without additional charge. We scrub your tiles with our rotary scrubber to get into those stubborn areas that are hard to clean. We use our professional tile cleaning equipment with the right amount of pressure to clean your tiles. Because our technicians are professionally trained we know which pressure setting is best for each type of tile. We wipe down the floors and place air movers around the room to ensure your tiles are dry by the time we leave. Wouldn’t it be great if getting tile and grout clean was as simple as spraying on a cleaner and wiping it off? Most commercial cleaners simply aren’t up to the job! 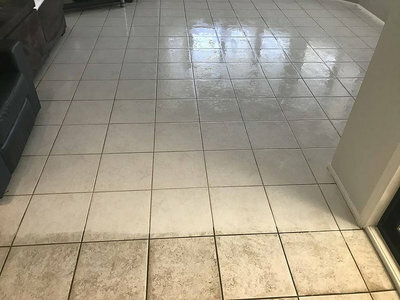 With our 7-step process to tile and grout cleaning in Sydney, New Age Cleaning can finally get the real results that you want for all your tiled surfaces. If your looking for a Sydney based tile cleaner that is both effective and green, we have the solution for you. Tiles are highly durable and look fantastic when used in today’s modern homes. However these tiles, whilst durable still obsorb dirt, grime and can stain. 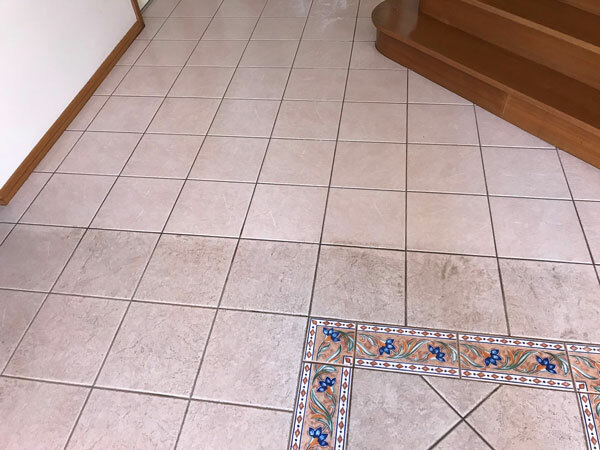 Often tiles that are used on floors and outdoors often have indentations to create a rough surface, this prevents them from becoming slippery. These tiny areas also give dirt a great place to hide. Our professional tile cleaning process gets into those hidden places and removes the dirt leaving a sparkling clean finish that’s easy to see. We use a specialised rotary scrubber designed to get into those hiding places and get the dirt out. 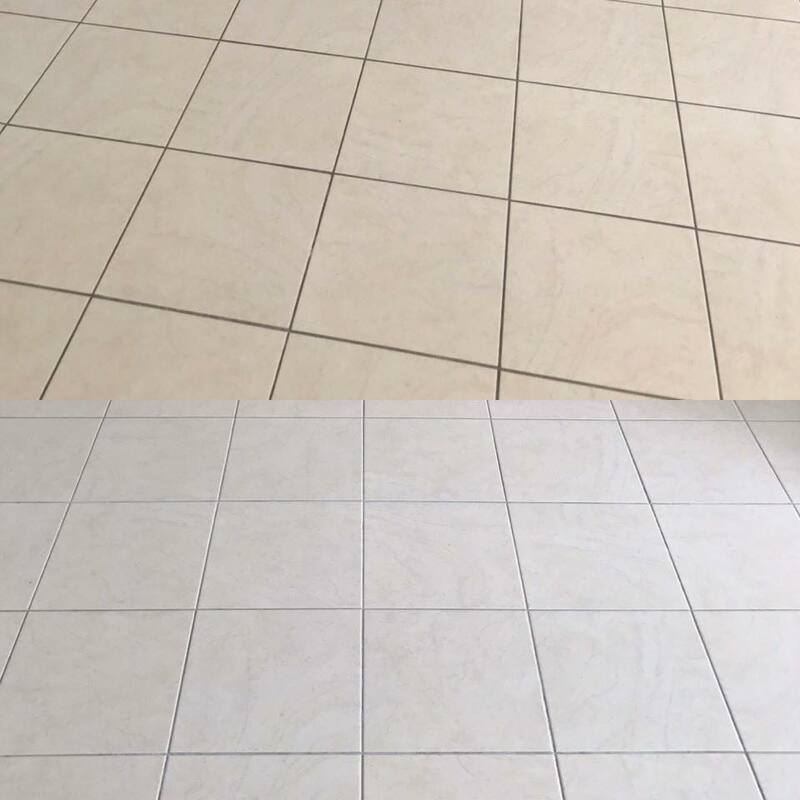 We also use pressure scrubbing and with the right amount of pressure we remove dirt without damaging your tile. Grout is often the most difficult material to get clean, especially in areas where it comes into contact with water and dirt exposure. Our professional grout cleaning services begin with a pre-treatment to remove stains from tile and grout. This step in our process helps to loosen stains and break them apart. During the cleaning, more of the dirt and grime get lifted away leaving your tile cleaner and brighter. Our 7-step process and safe, effective cleansers are what make us your number one choice for tile and grout cleaning in Sydney!